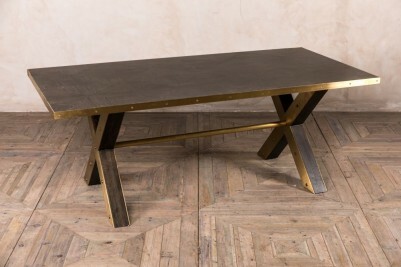 Add bold contemporary styling to your kitchen, bar, or restaurant with this metal edge table. The burnt oak contrasts with the brass edging for an eye-catching appearance that is sure to add an edge to your interior. 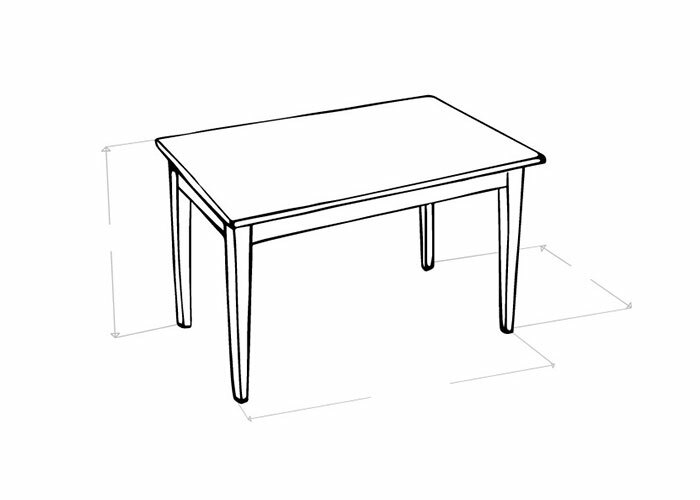 The table features an X-frame, with a cross-stretcher for stability. 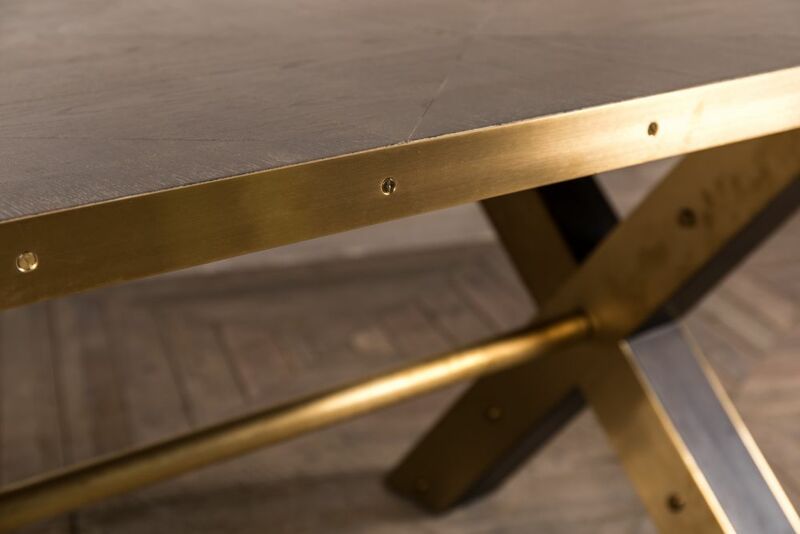 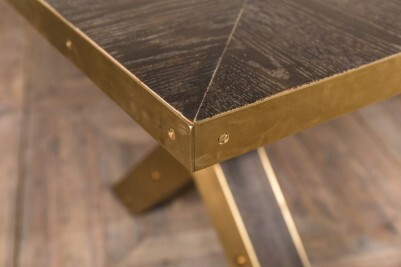 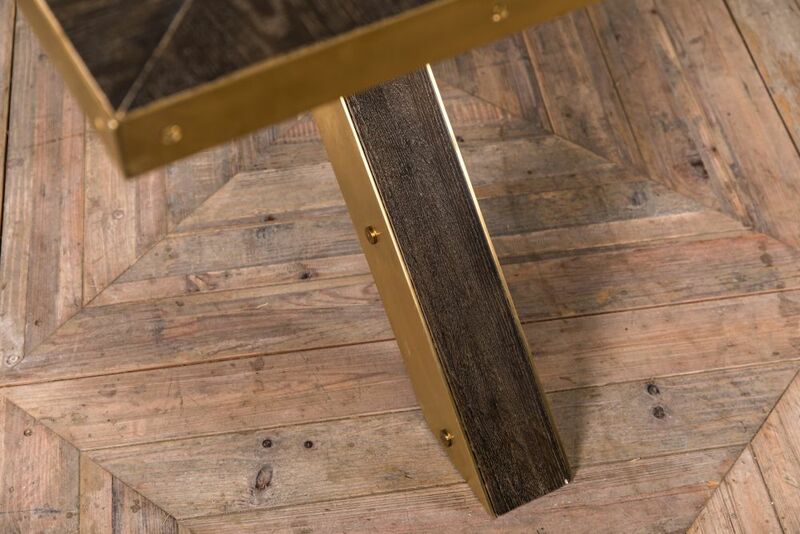 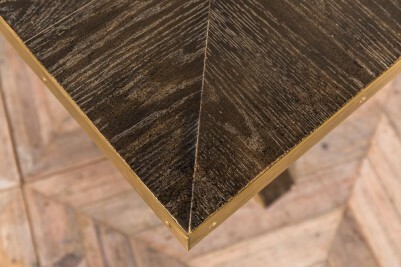 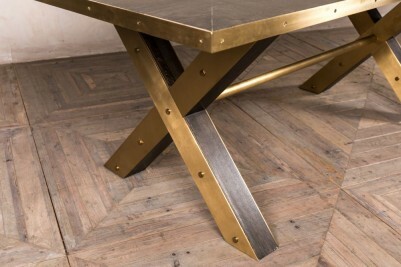 The edges of the table are plated with brass, and the exposed bolts create an industrial style look. 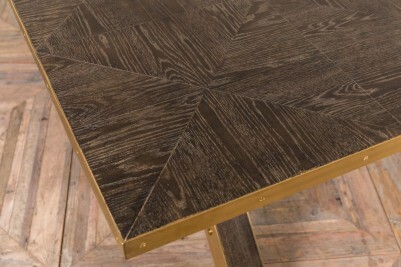 The table top also has a symmetrical geometric pattern, adding to the table’s unique look. 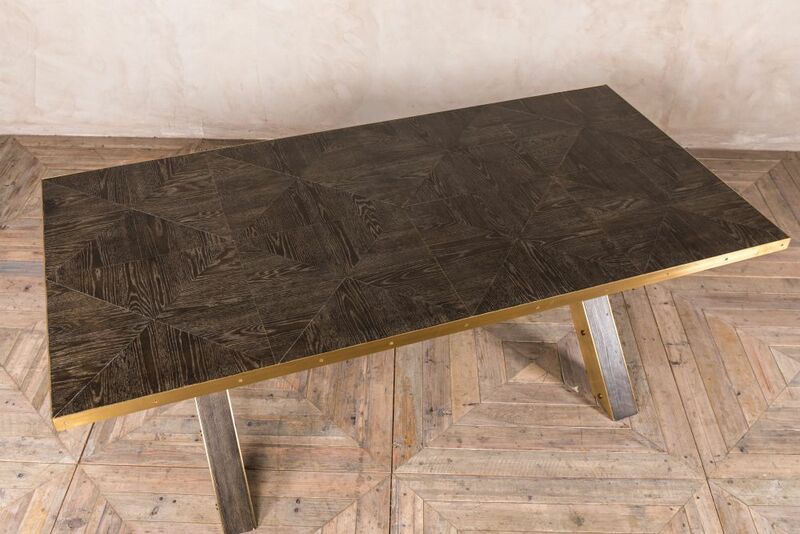 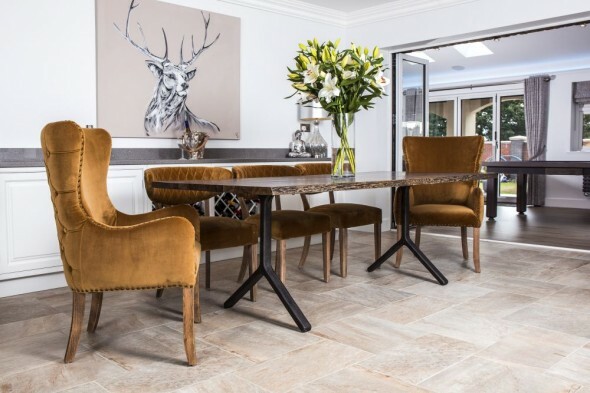 This table would be ideal for a modern industrial style interior; the dark oak and brass detailing are very on trend right now, perfect for a trendy bar or restaurant. 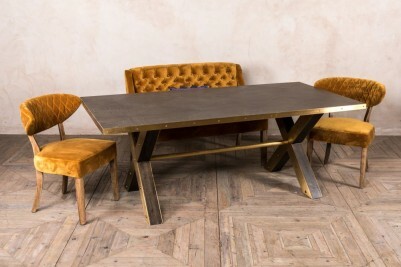 The table comes in two sizes: 2m and 2.5m. 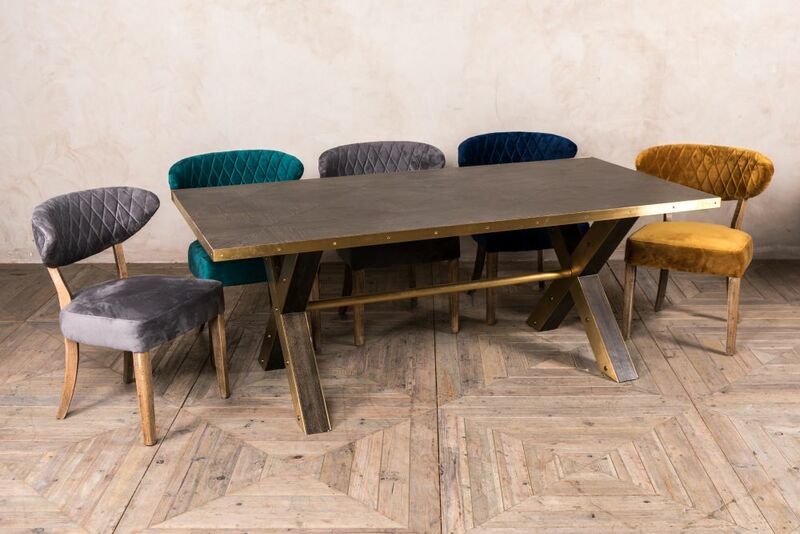 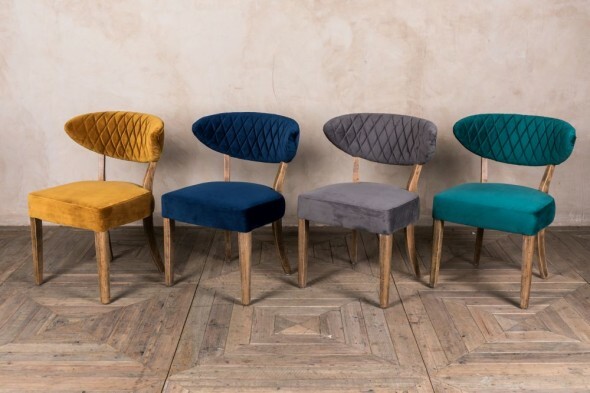 The metal edge table is pictured with various products from our velvet dining seating range. 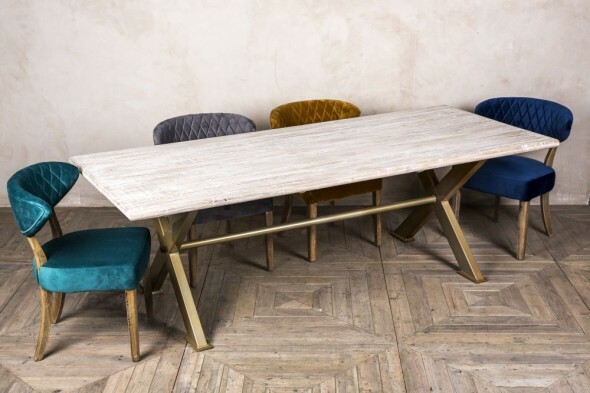 These products are not included in the price but can be purchased separately.